Sony Pictures Entertainment released the latest trailer for the sequel of Ghostbusters movie which is scheduled to premiere on July 22, 2016. 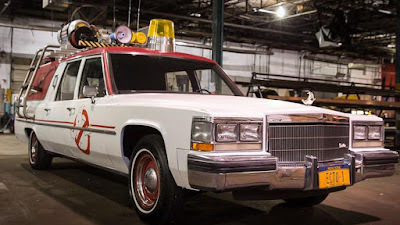 Interestingly, in the video with duration of 1 minute 51 seconds also looked the new generation of Ecto-1. The emergence of the new generation of the iconic vehicle of Ghosbusters isn't the first time. 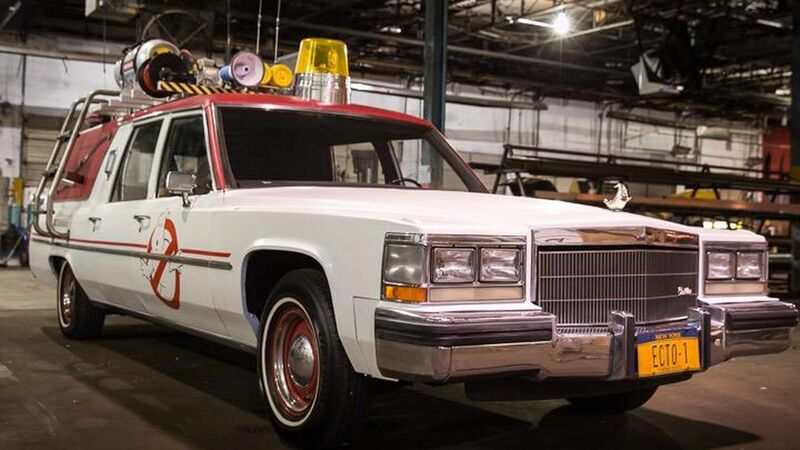 Middle of last year, the movie director Paul Feig has uploaded several pictures of new Ecto-1 in his personal twitter account. Unlike the Ecto-1 of 1980s era, the new car looks more boxier than the original version or the previous film. No more Cadillac tail fins, but the important ornament such as Ghostbusters logo, stairs and sirens maintained. The first generation of Ghosbusters Ecto-1 car taken the base of 1959 Cadillac Professional. For this latest vehicle using younger years. Although not specified clearly.